This frigate is the seventh Anzac-class frigate of the Royal Australian Navy (RAN) and referred as HMAS Toowoomba (FFH 156). She was laid down in 2002 and later commissioned in 2005. Among the several missions, Toowoomba was deployed to the Persian Gulf as part of Operation Slipper in 2007. Her second deployment to the Middle East occurred during the second half of 2009. Finally, as part of this operative, she became the first RAN vessel to operate with the counter-piracy Combined Task Force 151. 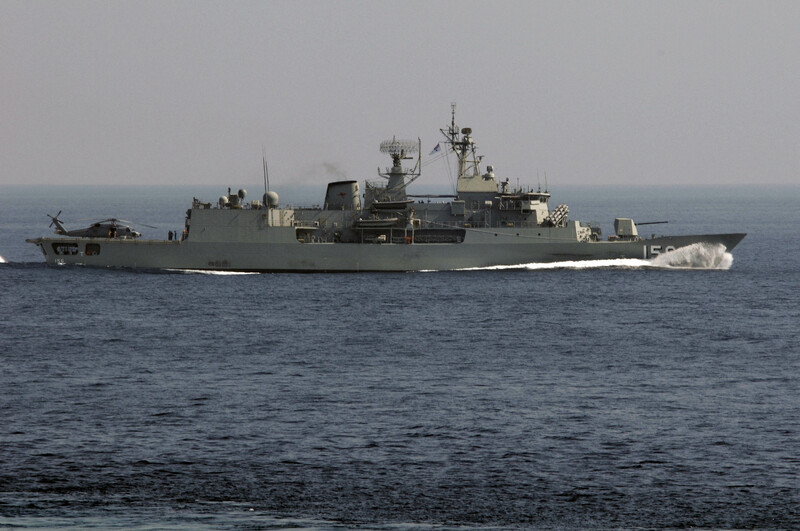 HMAS Toowoomba FFH-156 is underway near the aircraft carrier USS Nimitz (CVN 68) during coalition maritime operations. Toowoomba hit a navigation marker off Gladstone in March 2006 and was repaired at Williamstown, Victoria. 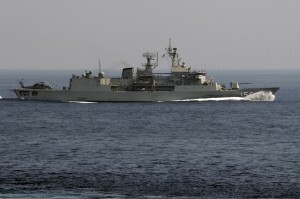 Toowoomba began her first deployment to the Middle East Area of Operations (MEAO) as part of Operation Slipper on 4 January 2007. On 18 June 2008, the frigate became the first RAN warship to fire an MU90 Impact anti-submarine torpedo, after they replaced the American Mark 46 anti-submarine torpedoes originally fitted. In June 2009, Toowoomba sailed from Fleet Base West, Western Australia to embark upon the ship’s second MEAO deployment. On 20 September 2009, Toowoomba responded to a call for assistance from the merchant vessel BBC Portugal, and successfully prevented an act of high-seas piracy. Toowoomba returned to Fleet Base West on 7 December 2009, having been relieved in the MEAO by HMAS Stuart. In early April 2013, Toowoomba operated with the U.S. Navy’s Carrier Strike Group Three in the South China Sea. In late March 2014, Toowoomba was pulled from asylum seeker patrols and directed to join the hunt for the missing Malaysia Airlines flight MH370, allowing HMAS Success to return to port for replenishment. Several upgrades have been implemented for the Frigrate Toowoomba. She has be docked in October 2015 to undergo the Anti-Ship Missile Defence (ASMD) upgrade.The upgrade will include the fitting of CEA Technologies’ CEAFAR and CEAMOUNT phased array radars on new masts, a Vampir NG Infrared Search and Track system, and Sharpeye Navigational Radar Systems, along with improvements to the operations room equipment and layout.